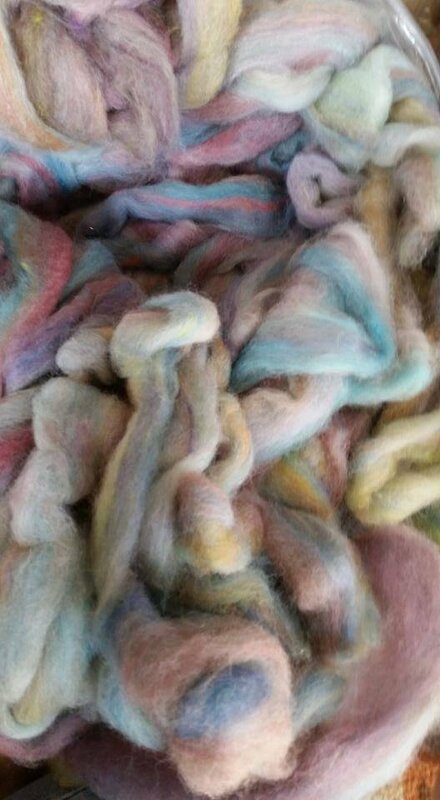 Dyed BFL roving from the Entropy runs done at the local fiber mill that make all of our yarn. As the yarn colors are random so is the roving. Soft and airy makes a fantastic spinning fiber for the beginning spinner.